If I Might Interject: Do You Believe...? Do You Understand...? Do you believe in God? Do you believe that Jesus Christ is God? do you believe that He can be trusted to keep His promises? Do you believe He established the Catholic Church to bind and loose in His name? Do you believe that the authority He gave His apostles continues through their successors? If you do not believe one or more of these things, you are one of the following: A non-Christian, a non-Catholic, or an erring Catholic. But if you sincerely profess belief in all of the above, then you should realize that a belief that the living magisterium of the Catholic Church today has fallen into some sort of error is incompatible with our professed belief. This article does not intend to address the non-Christians or non-Catholics. Rather, in this time of struggle, I intend to reach out to the Catholics who have fallen into, or are struggling with, the belief that the Catholic Church is teaching error and only a handful of Catholics remain faithful. I say this because to believe in God is to believe He seeks our good. To believe that Jesus is God is to believe that what He teaches holds the same weight as what God the Father and God the Holy Spirit teaches. To believe He keeps His promises means we must trust that whatever seems to contradict His promises cannot be true—even when things seem bleak. To believe that He established the Catholic Church, gave it the authority to teach in His name and that authority continues through apostolic succession means that we put our trust in what the Church teaches, giving obedience when required. This belief does not mean that some individuals who hold the office of priest, bishop, cardinal, or Pope will be impeccable. We believe they can and do sin—not just the notorious Popes like Benedict IX or John XII, but the saints among them as well. But we believe that since God made obedience to His Church necessary (Matthew 18:17, Luke 10:16), He will ensure that the Church teaches without error. If we did not have that assurance, we could never know when the Church should be obeyed and when it should not. That’s why I have to reject the idea that the Pope is in error while a small number of bishops/cardinals who disagree with him are correct. The Pope is the final arbiter of what is authentic interpretation of Catholic teaching. He draws the final line. If it turned out that sometimes the Pope was in error, and another see was correct, we could never know who spoke for the Church at any particular time. For example, take the Arian Crisis. Most of the Church embraced this heresy. But the Pope did not. He was the beacon of orthodoxy we could trust when there was confusion over which interpretations of Scripture were correct. Without the belief that God protects His Church from teaching error, we could never know that any particular Pope was correct, whether any particular council was correct. We could only say we think that a certain opinion was correct. But other Catholics would deny that claim and who can we appeal to to prove who is right? This is why the Church has always held that when the Pope teaches we must give religious assent of intellect and will. Not only in the matters of ex cathedra teachings, which must be treated as doctrine, but in the ordinary magisterium and in the governance of the Church. When there is a conflict of interpretation of past teachings, it is the Pope that has the final say. Some Catholics, opposed to Pope Francis, try to deny his right to teach and to modify discipline and governing of the Church. They claim to appeal to past teachings, claiming that the Pope contradicts them. But what they are actually appealing to their personal interpretation of past teachings. It’s similar to the anti-Catholics who point to the Bible to claim we contradict it. We do not reject the Bible. We merely reject their personal interpretation of it. Unfortunately, people misunderstand St. Robert Bellarmine. A “true opinion” doesn’t mean a doctrine. It means an opinion backed by reasoning instead of arbitrary belief. “Manifest heresy” does not mean a Pope declaring the death penalty inadmissible in this time. It means openly declaring that he rejects the doctrine of the Church in some manner. St. Robert Bellarmine was not defining a doctrine (he couldn’t if he would—his De Controversiis is not a magisterial document. It’s an apologia for the authority of the Church against those who reject it), and his work must be understood in light of later magisterial teaching such as Vatican I, Vatican II, and Code of Canon Law 1404 (“The First See is judged by no one.”). 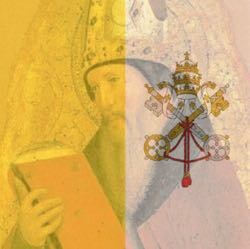 If a Pope should become a “manifest heretic” (a notion I find incompatible with the promises of Our Lord), we would need to trust in God to protect His Church because we would have no means of deposing him. Critics of Pope Francis should consider the existence of literally bad Popes like Benedict IX or John XII or those suspected of personal heresy (Liberius, Honorius I, John XXII [+]). They never taught error. If they were ever tempted to, it seems Our Lord prevented them from doing so. If a Catholic believes these things, then he or she should believe that these things remain true with the Pope and the Church today. But if a Catholic doesn’t believe these things, then such a person should realize they have fallen into deeper error than that which they accuse Pope Francis of. [§] The book can be purchased HERE. The relevant pages are 304-310 in my version. The translator has issued a new edition and the pagination may be different. [#] As a disclosure, I personally believe that the promises Our Lord made justifies this view. A Pope might fall into personal error as some think Liberius, Honorius I, and John XXII did. But that personal error will not spread to his teachings. [+] I contend John XXII was no more a heretic over the beatific vision than St. Thomas Aquinas was over the Immaculate Conception Both were mistaken, but the Church had not yet defined the matter, so there was nothing to obstinately reject. This question is off topic of the piece you wrote here. I'm in a conflict of soul over the fact that a person with pro choice beliefs on abortion, is leading a study group I attend @ a local Catholic Church. I go, knowing I can only change myself, not her. What are your thoughts on giving a person with this belief a position of authority in a small group? appreciate any input. That sort of thing shouldn’t happen. If it is an official group of the parish, a person who believes contrary to the teaching of the Church should not lead the group. If that is the case, then you should document what was said (vague accusations aren’t very useful) so the pastor can know specifics.